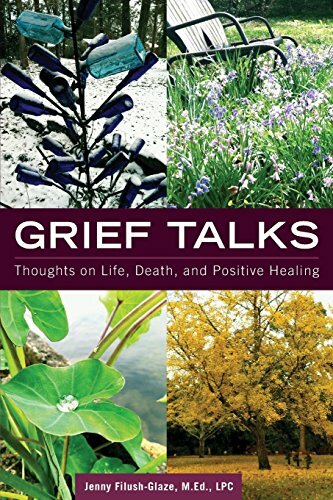 This inspiring book of collected newspaper columns on dealing with grief, written by Bereavement Counselor Jenny Filush-Glaze, covers a wide range of topics for those in various stages of the grieving process as well as for care-givers and those who provide grief support. The book is a great resource for those dealing with the death of a loved one, and for anyone faced with end-of-life decisions. Filush-Glaze shares her passion for grief support through these short essays and gives her readers hope and validation through access to a "virtual" support group.